So the first couple of weeks of the New Year have gone by and the year list is steadily accumulating. What have we had so far then? On New Year's Day the flock of 100+ BARNACLE GEESE flew in at last light (I'd already left by then but heard them come in and Steve Goddard was on site to confirm this). They subsequently have visited on a second evening as well - it's good that they are becoming so regular now. Apart from that on the water fowl front it's just been the usual Wigeon and Teal. Adrian Gray has confirmed Coot and Tufted Duck up at the Gullet and we've had Shoveller but not yet any Pintail though that should be just a matter of time. 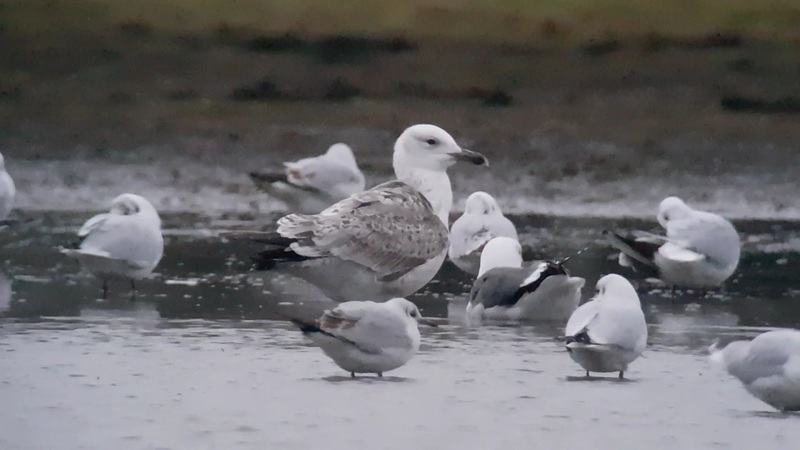 The main action (for me at least) has been on the gull front with the reasonably sized flood hosting quite good roost sizes. We've been blessed with three different CASPIAN GULLS already so far: two first winters and a second winter, the latter being found by Thomas Miller this evening. One of them came for four or five consecutive evenings in a row but although originally fine, now appears to have a badly damaged leg so is hopping around. The highlight on the raptor front has to be a great sighting of a MERLIN zipping through up at the Wolvercote end of the Meadow. Seen well by Steve Goddard and another birder this is a great record for the Patch. There have been a few "probable's" during my time birding the area but this is the first confirmed sighting. Apart from that I've just been going around winkling out the usual suspects for the year list from their usual haunts. 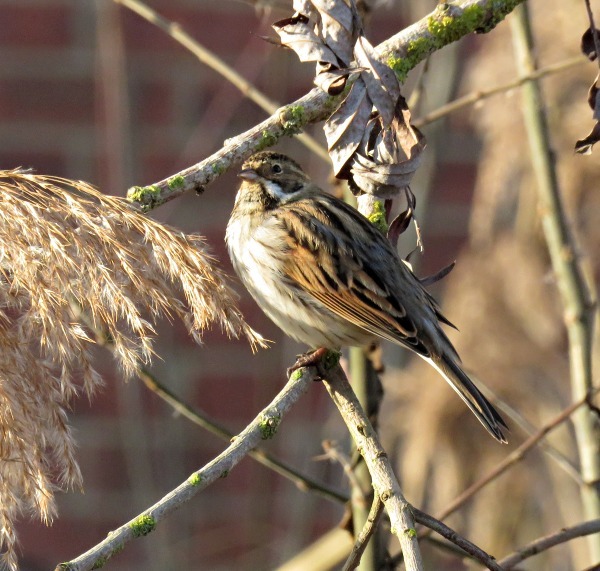 A trip along the wildlife corridor stream near the Trap Grounds produced the hoped-for Reed Bunting at the start of the year and I've managed to find things like Goldcrest, Treecreeper, Siskin and Mistle Thrush and Steve Goddard up at Wolvercote has supplied Stock Dove and Tawny Owl. Nothing earth shattering but it's nice to get them on the list. In a week or two I'll posted a "wanted list" of stuff that's still yet to be seen but it seems a bit early for that as yet.